And we knew the Russians would attack. Supplies box slides under one. Revised Standard Version ) under other. Sealing up the entrance behind. Stand easy men - no new developments. Would make of my cosy cave? So soon? Better set all the alarms. To sound the all clear. V. Good. No chance of being spotted from the air. When my own Mother doesn’t know it was there? Could have been found anywhere! Nice one,Rej! I particularly like the personalized humour you've brought into it, based on your own childhood memories. 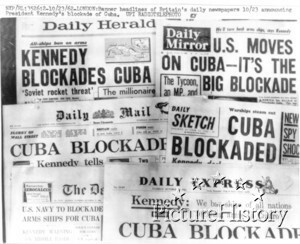 (I was in Art College at the time of the Cuba Crisis and remember that we were all sh*t*ng ourselves as the American ultimatum had nearly run out. We were in a life class when we heard a loudspeaker down on the street. We all ran out in a panic but it was just someone in a van canvassing for a local election!). Cheers for now, Alan. This is such a good collection of words and memories and your childhood reaction,the threat from afar which felt so real and very frightening. Like this one.